Advanced gaming every Sunday evening! Our best value for money event! 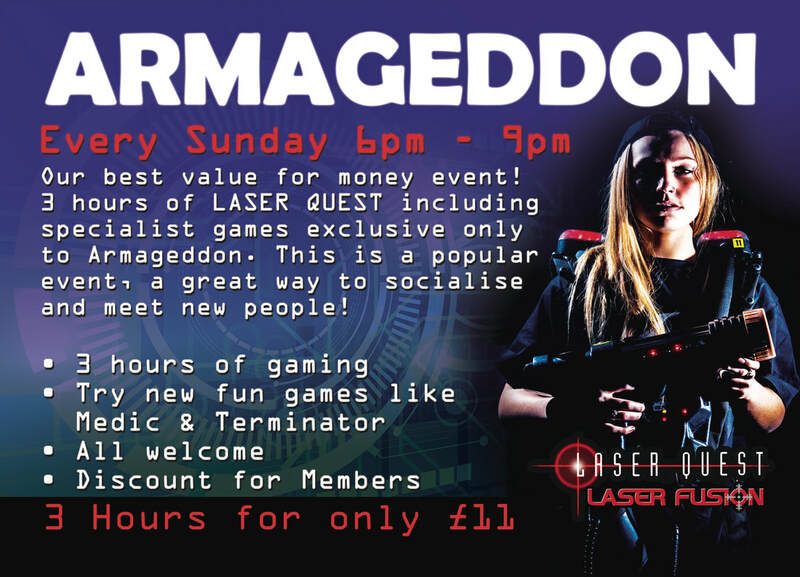 3 hours of Laser Quest including specialist games exclusive only to Armageddon! This is a popular event, a great way to socialize and meet new people.